Uganda on Thursday launched the China-built Isimba Hydropower Dam in the country’s east. 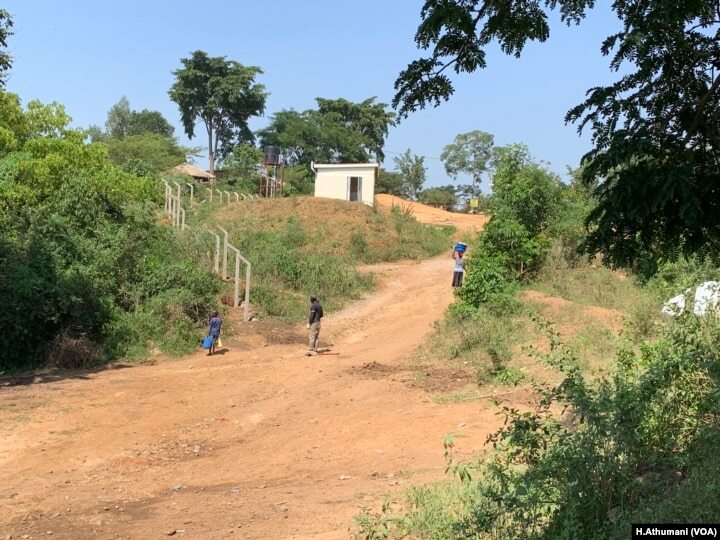 The $568 million dam is expected to improve access to power in Uganda, where less than 30 percent of people are on the grid, and cut power costs. However, the dam has come at a price for residents. For many locals, the Victoria Nile River is their only source of water to do laundry, bathe, and collect water for use at home. But a fence is being constructed to close access to the river. It is a river that families depend on, says local resident Diana Namuli. She says children swim whenever they want, but soon that won’t be possible. Mothers also will not be able to send their children to fetch water, Namuli says. 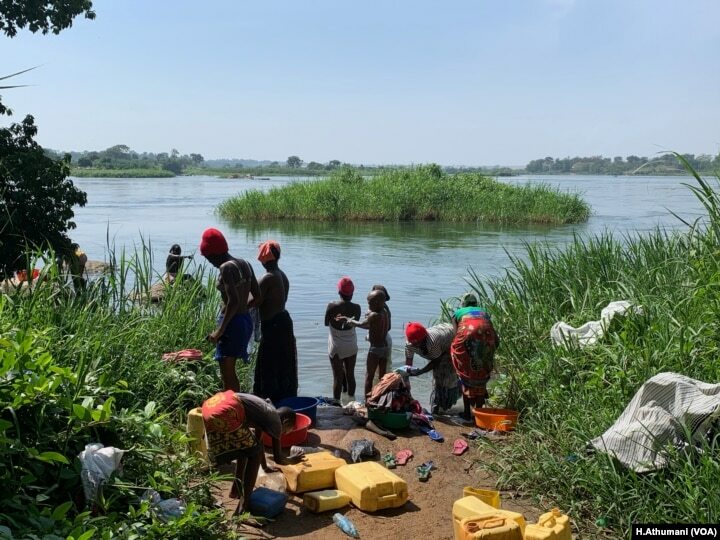 Women bathe and do laundry at the shores of Victoria Nile River, Kayunga district, Uganda. The dam constructed by China International Water and Electric Cooperation will increase electricity access, but it has come at a price for the local ecology as well. Before the dam, this Uganda part of the Nile River brought tourists to its waterfalls and wildlife. Visitors came to see red-tailed monkeys and endangered pangolins, among others. At the official launch of the dam Thursday, officials acknowledged choosing 183 megawatts of clean power over access to water and natural beauty. A man looks on at a fence being dug around the Isimba Dam in Kayunga to keep residents away from the shores of the Victoria Nile River in Kayunga district, Uganda. Critics say China’s infrastructure projects in Africa increase Beijing’s influence on the continent, along with African debt. China’s ambassador to Uganda, Zheng Zhuqiang, calls the allegations groundless. “On the contrary, in pursuing cooperation, China values sincerity, friendship and equality. Pursue common interest, win-win cooperation and our friendship first,” Zheng said. In addition to the Isimba Dam, China is financing the $2 billion, 600-megawatt Karuma Hydropower Dam, in northern Uganda. Once active, the two hydropower dams will nearly double Uganda’s power supply. Uganda’s future generations will see if the electricity is worth the cost.